Renowned sports apparel brand Nike has organised an exclusive celebrity fitness training session to announce opening of it’s yet another store in Mumbai. Designed to motivate and enable ‘her’ with the world-class products and services, leading sports apparel brand Nike has opened it’s yet another store in Mumbai. To announce the opening of the store, the brand has organised an exclusive training session for and with celebrity fitness enthusiasts. Led by Urmi Kothari, a certified Nike+ Training Club (NTC) trainer, the workout sessions were hosted by Bollywood actress and singer Sarah Jane Dias. “The NTC session was exactly what I love to do for a workout. It left me charged and feeling strong. I fully intend to use the app for my daily routine,” noted Dias. The other participants in the training session included Shibani Dandekar, Mandira Bedi, VJ Ramona, VJ Bani, Deanne Panday, Gabrielle Deme, Candice Pinto, Suchitra Pillai, Diana Erappa and Scherezade Shroff, to name a few. 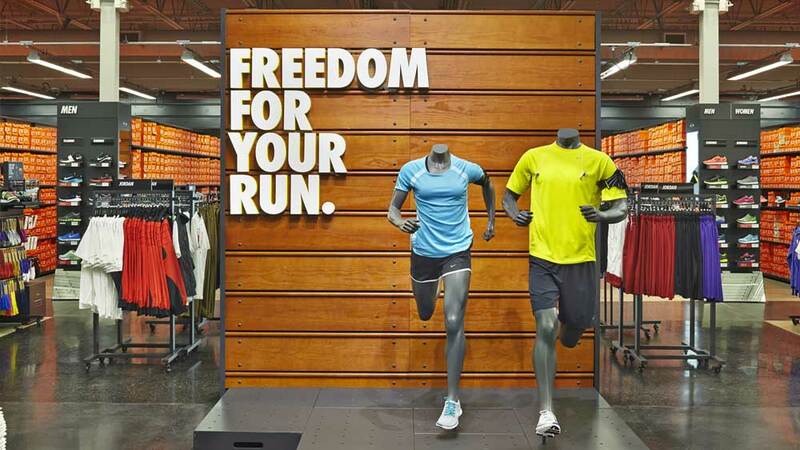 Located at the heart of the city, on the Linking Road, in Mumbai, the Nike store offers a wide range of world-class products and services for her including gait analysis and innerwear fitting suggestions. The store primarily focuses on running products and footwear for men and women, apart from women’s training and Nike sportswear. Significantly, Nike+ Training Club is a global fitness community for women. It embodies Nike’s commitment to inspire and enable female athletes through its products, services and experiences. Moreover, the brand has also come up with the Nike +Training Club App, which is the digital heartbeat of the club, uniting its members no matter where they train. This full-body training app caters to every level of fitness. Athletes can choose from a four-week programme to one-off workouts in order to achieve their set goals of getting lean, toned and strong body. The N+TC App features over 100 workouts and is free to download on iOS and Android. Start An FMCG Distribution Business in Noida..
Biz Opportunity in Weight Gainer Supplement Market..
Digital firms raise millions from VCs in FY’15..
Health and Wellness Coach in India..
How to Start a Coaching Institute..
How to Create Demand for Products or Services..
3 Benefits of IoT in Healthcare Biz..
What to Expect from the Beauty industry 2018..